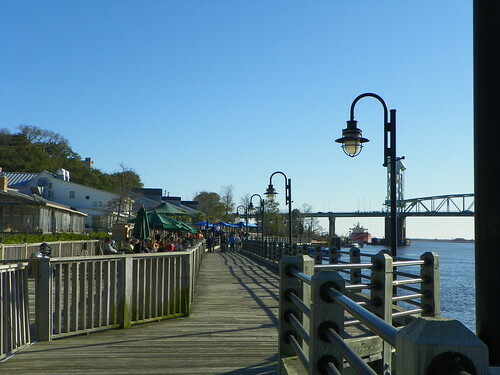 There must be something magical about boardwalks, since so many cities have them. People stroll, check out the scenery and window shop. 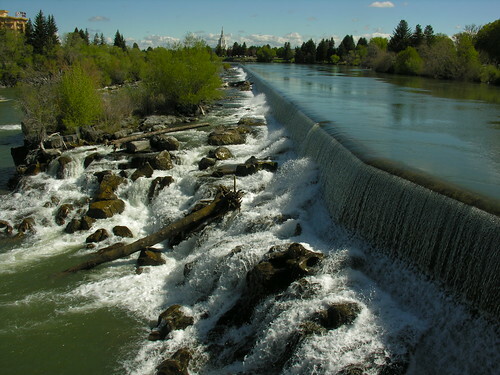 A stopover on the way to Yellowstone, Idaho Falls was a great place to take in some scenery. Some of the scenery is manmade, but the falls on the Snake River are impressive, anyway. We used our time for R ‘n R and a business visit, but we enjoyed the peaceful community and the friendly people we met. Since we were staying at the Ameritel Inn near the falls, we had an opportunity to see the falls close up. There is a walking greenbelt on both sides of the falls that gives you a chance to see the falls from many different vantage points. Traveling to Boise, ID – Oh, Boy, Boise! We spent two terrific days in Boise, Idaho and wished we had more time. After starting in West Yellowstone and driving west on Interstate 86, then Interstate 84, and contending with construction traffic, we finally arrived. We checked into the Hyatt Place Boise on North Milwaukee Street not too far from the highway, our first experience at a Hyatt Place. We were impressed! The friendly staff was smiling and efficient. If we hadn’t had so many questions as first-timers, we could actually have used the automated check in. 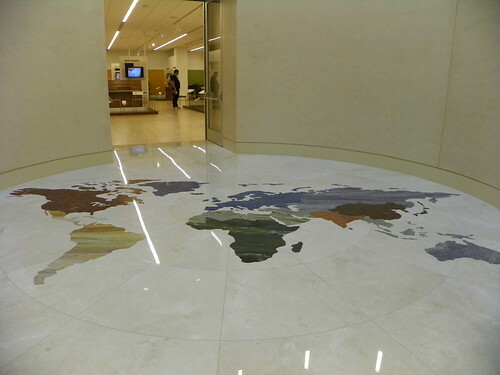 However, our host was eager to show us around in the lobby. Everything is easy to access. 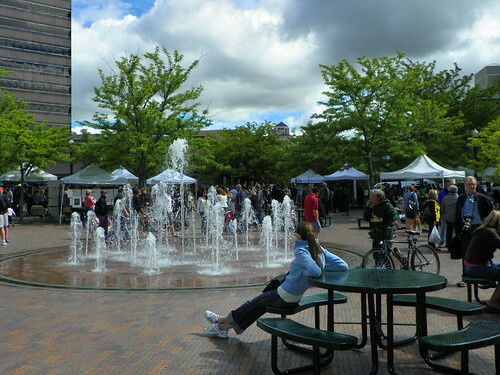 If you’ve been reading the blogs, you know that we wouldn’t miss a Farmers’ Market. 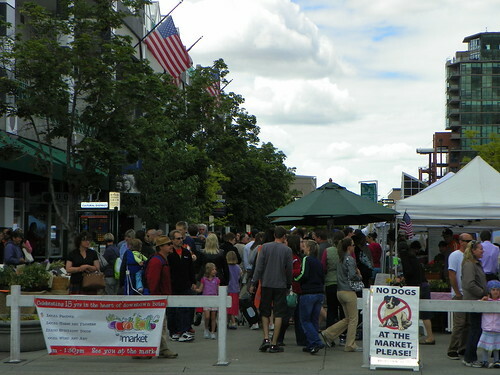 Boise’s Farmers Market is certainly worth seeing! 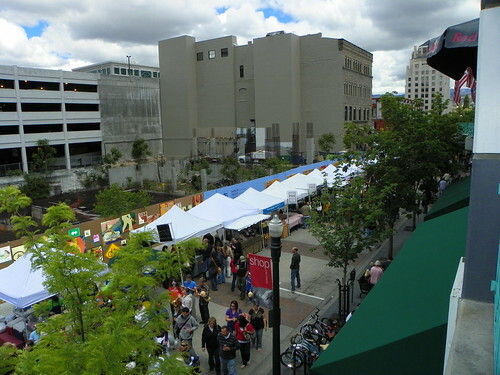 Such fun – and four blocks worth of scrumptious fresh produce, hand made items and entertainment in downtown Boise every Saturday, from 9:30 AM – 1:30 PM. The atmosphere is entertaining and everyone seems to be in a festive mood. Fresh cheese, delicious brittle pine nut candy, and some hand-carved wooden items were some of the great items we purchased. If we had lived there, we would have chosen fresh eggs, meats, flowers and – well, it would be hard to hold us back! Come back next week when we take a jaunt to a penitentiary where they cultivate flowers! One of the best parts about Bisbee is how easy it is to visit other, earlier, times.